Cosmetic facial surgery has gone through much advancement over the years. In the past a facelift would’ve taken several days of recovery in a hospital – now most patients just go home immediately after the surgery. And now with new technology and technique, facelift surgery has never before been more convenient and affordable. Facelifts are procedures that tighten the lower face and neck, and will require incisions in front of and/or behind the ear. There are three general type of facelifts: small, medium, and large. Patients choose the size of the facelift depending on how much younger they wish to look. E.G. if a patient has minor aging, they would choose a small facelift, and so on and so forth. In the practice of cosmetic surgery, a small facelift is colloquially known as a “Mini-lift” in our practice. A medium lift is also known as a “Face lift” for moderate aging. A large lift is known as a “extensive facelift” and is a more extensive face and neck procedure than the small and medium lift. Dr. Shu performs a multiple layer face lift. This means that not just the skin is tightened, but the deeper layers as well, creating a longer lasting lift, despite being more difficult to perform. 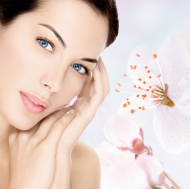 Mini facelift is a common type of facelift procedure performed in the younger patients today. It addresses the sagging skin and tissue on the lower third of the face using small incisions placed around the ears. It restores definition of jawlines by removing excess skin and tissue and artfully tightening remaining tissue. “Face lift”, or the “medium facelift” is the most common type of facelift as it addresses common lower facial aging changes in 45-60 year old’s which are the most popular ages for facelift procedures. Candidates for the facelift are patients with moderate signs of facial aging. The “Face lift” is the medium type of lift and addresses more aging than the mini facelift but is not as aggressive as the extensive (large) facelift. Almost all extensive facelifts (large facelifts) require chin/neck liposcution and standard neck lift, some cases with very severe neck sagging may also require a platysmaplasty or submentoplasty. Dr. Shu addresses platysma muscles by tightening it in the center of the neck and lateral platysma, creating a natural appearing, but still long lasting lift. Submentoplasty involves tightening the deep tissues of the floor of the mouth, which is very important regarding the aesthetics of the chin and neck. A more natural, tighter, longer lasting facelift will result from the three procedures together. Here at Shu Cosmetic Surgery Institute, we use the latest and most advanced techniques to provide the most effective—but also the least invasive—procedures possible. Facial rejuvenation comes in many different forms, so explore and discover the perfect facial procedure for you.